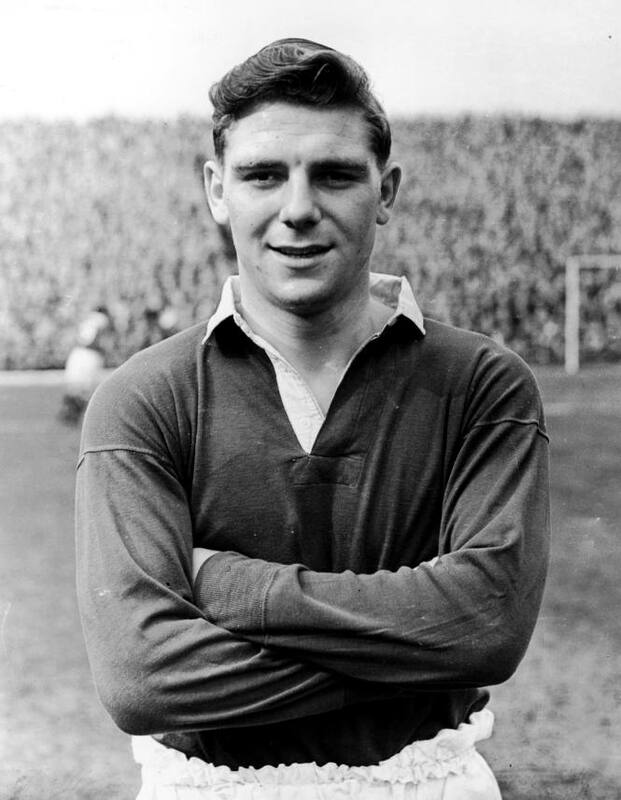 Matt Busby described Duncan Edwards as the most ‘complete footballer in Britain – possibly the world’. The greatest tragedy is that his death aged just 21 from injuries sustained in the Munich air crash meant his full potential was never realised. Armed with boundless stamina, an all-encompassing range of passing and a truly ferocious shot, Edwards was a player who could control any game he played in. His extraordinary ability had been noted across the country when he was just an 11 year-old playing for Dudley schoolboys, and he was coveted across the West Midlands by Wolverhampton Wanderers, Aston Villa, West Bromwich Albion and Birmingham City. By that point his school master had already commented: “I have just seen a boy of 11 who will one day play for England”. debut aged just 16 years and 185 days old on 4 April 1953, against Cardiff City. Edwards signed as a professional eight months later, on his 17th birthday, becoming a regular member of the team in the 1953/54 season. Although primarily a left-back, he could give an accomplished performance anywhere on the field. On the football field his success was spectacular. By 21 he had won three Youth Cup winners’ medals, two league championships and appeared in an FA Cup final. When he made his international debut he became the youngest player to be capped for England in the 20th century at the age of 18 years and 183 days. This record stood for more than 40 years until Liverpool striker Michael Owen was capped in February 1998. When his body was brought home, over 5,000 people lined the streets in Dudley, as a tribute. He was buried at Queens Cross cemetery, Dudley, West Midlands. 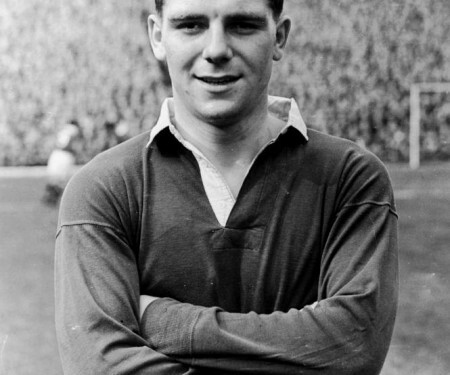 The name of Duncan Edwards continues to invoke a sense of injustice that one with such a gift was halted before reaching his prime. Those who were lucky enough to see him play invariably regard him as the best player they saw, without ever seeing what he could truly become. And for the modern reader wondering what the closest thing in the game is to him now, the name of Wayne Rooney is regularly mentioned as the closest fit.